After two hard and long years of development, the CCux Linux team proudly announced last night a new version of their Linux-based operating system. Powered by the final version of Linux kernel 2.6.26, CCux Linux 0.9.9 is the first stable distribution injected with the freshly released KDE 4.1.0 desktop environment. Unfortunately, this version is available only as a DVD ISO image of about 4 GB in size. "We want to thank all Developers, Testers and all loyal users who have helped and supported us on the long way to a new releasable version. Thank you guys!" - said Christian Metzen in the release announcement. Moreover, the GNOME, Xfce and Fluxbox window managers are now selectable as Desktop environments via the installer, which was completely reworked, along with the installation system. ...and many games, such as BosWars, AssaultCube, SuperTux, Nessus, Tremulous, Scorched3D, Chromium, LMarbles, FreeCiv, Frozen Bubble, CriticalMass or FooBillard! 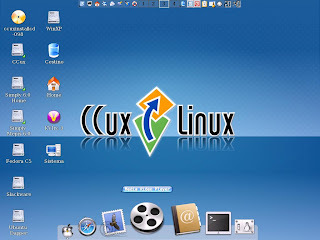 Download CCux Linux right now from here.